A boy walking with a group of Scouts was stretchered off a north Wales mountain after a fall yesterday. The 13-year-old was taken to Ysbyty Gwynedd in Bangor after injuring his knee in the fall on the 783m (2,569 ft) Moel Hebog, west of Beddgelert. North Wales police were alerted just before 2.30pm on Monday, and members of the Aberglaslyn Mountain Rescue Team went to the boy’s aid. Later in the day, a 17-year-old woman had to be carried off Snowdon by stretcher after falling on the Miners’ Track and injuring her ankle on the route from Wales’s highest peak. Llanberis MRT were called out to carry her from the 1,085m (3,560ft) mountain when she was unable to carry on. She too was taken to the Ysbyty Gwynedd. 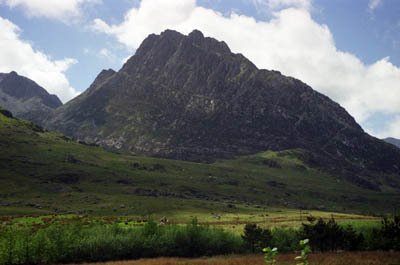 A third mountain rescue team was called out two hours later after reports that a party of four climbers were in difficulties on Tryfan. Ogwen Valley Mountain Rescue Organisation members went to assist and brought the mountaineers, unharmed, from the 915m (3,002ft) hill. Once again the professionalism of mountain rescue teams and RAF helicopter crews do a fantastic job!